By 1890, a spectacular crash brought the Land Boom to an end. Banks and businesses failed in large numbers, thousands of people lost large sums of money, and tens of thousands of people lost work. It is estimated there was a 20% unemployment rate at the time, and immigration halted. It was quite lucky then, and also indicative of the support for engineering, that by 1899, the government joined Kernot in making £15,000 available for a new engineering building. The building, designed by Reed, Smart and Tappin, cost £4402, and was placed in a small clump of pine trees, distanced from the university so the noise, heat and smoke caused by engineering works should not annoy the other departments. It included a 70ft high tower that held a tank to provide a head of water for pumps and hydraulic devices, and by 1901 the building was ready for students. By the 1900s, 45 students had enrolled in engineering. Engineers were rapidly becoming prime movers of progress and civilization: they were supporting the construction of the Flinders St Station building, city streets were lit by electric light for the first time and the main sewerage system was becoming operational. 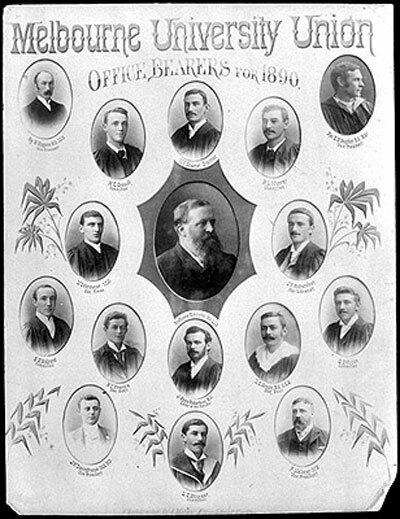 Kernot’s graduates became well-respected around the world, leading to roles as the Foundational director of Working Men’s College (now RMIT), four university professors (including R.W. Chapman, foundation professor of Engineering at the University of Adelaide), first and second professor of Engineering at the University of Tasmania, and Kernot’s younger brother Wilfred, who later became the Chair of Engineering at The University of Melbourne.